The team at Culinary Food Group are big believers in healthy eating and selecting only the finest ingredients to make nutritious and tasty food. For over 10 years, we’ve been talking up the health benefits of using seaweed and kelp in dishes and we know it makes a great alternative to salt in stocks and sauces. Thankfully nowadays the public are far more aware of the health benefits of seaweed and this is driving a growing trend of using this healthy alternative to salt in meals. A Review of 100 studies has found that seaweed can help reduce blood pressure and contribute positively to a healthy heart. 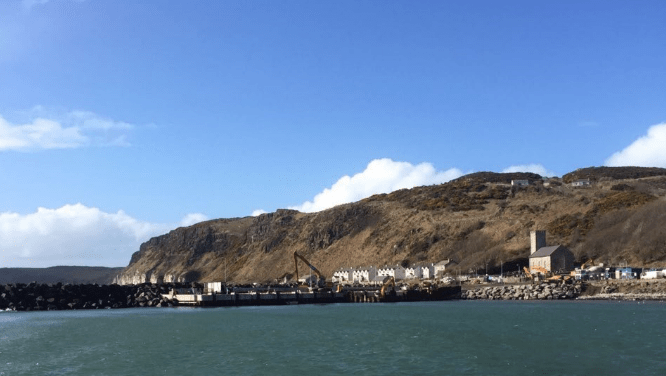 Our team took a trip to Rathlin Island to visit Islander Seafood – one of our excellent suppliers and world-renowned seaweed and kelp experts. 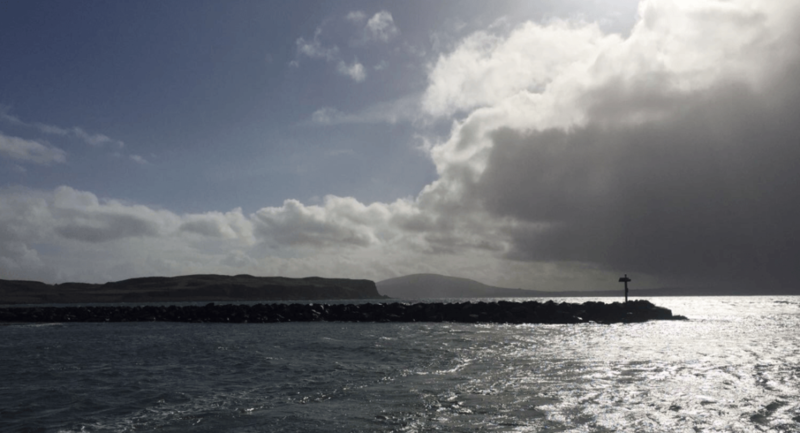 Rathlin Island is one of the most picturesque places on the planet and it’s home to an amazing business, Islander Seafood. The McFaul family are a fourth-generation family fishing business – so when it comes to seafood, it’d be hard to find a natural heritage that offers more expertise than this family has at their fingertips. The family business is set in a unique location with perfect marine conditions, including clear cool deep waters, to harvest and grow the best kelp in the world. This is supplied to businesses all over the globe. Described as having the perfect ‘al dente’ texture, it can be used as a healthy alternative to noodles, added to colourful pastas, fresh wraps, salads, spicy curries, sandwiches……or whatever else takes your fancy! Wakame has a delicate texture and is very common in Japanese cuisine (more on this later!). Its gentle texture makes a great addition in crisp salads, crunchy stir fry’s or when finely chopped, it can be added to your homemade couscous – delish! Sugar kelp has a soft texture and a sweet taste – great for experimenting with! Islander Seafood grow their kelp in a conservation area off the coast and are mindful of protecting their local resources. The journey starts in the kelp nursery where the produce is grown and farmed. Throughout the process the McFaul family carefully monitor the kelp and ensure it stays fresh and that it never dries out. Once harvested, the kelp is then blanched, a process of boiling it in extremely hot temperatures, which creates the vibrant colour we all know and love and blanching gets rid of any extra salt content. Superfood is a hot topic at the moment – both kelp and seaweed tick all the boxes due to their excellent nutritious content that the body needs, things like…..
Best natural source of iodine. Contains more calcium that most vegetables. Packed with antioxidants keeping you healthy and boosting immune system. Kelp may also help keep your skin looking brighter, fresher and younger, reduce weight and help you fight off infections – an all-round good guy!!! Both the EU and UK are getting serious when it comes to levels of salt intake and want to see a reduction in these levels. On average salt intake levels still remain too high and above recommended amounts. Be prepared – take advantage of the new salt guidelines and capitalise on a fast-growing consumer trend. Japanese food is not only delicious but the Japanese approach to food and eating is long established as representing a super healthy diet. Many of the sauces and stocks that are used in preparing Japanese dishes are based on low salt content and seaweed is often used as a salt alternative. Healthy eating is intrinsic to this culture, with plenty of fish and the use of kelp and seaweed as vegetables. It was brill to meet up with all the team at Islander Seafood again – thanks for having us! As an ingredient seaweed and kelp are extremely versatile, tasty and healthy and we’ll definitely be using them as ingredients in more food. We hopped back on the boat full of new ideas to try out in our kitchen! If you’re interested in reducing salt content and creating wonderful dishes get in touch with us for some inspirational ideas.